£10.8m energy systems project will help make domestic battery storage "as ubiquitous as a boiler"
Home battery company Moixa has started work on an energy systems project on the Isles of Scilly which will support the islands’ “path to full energy independence”. The Smart Energy Islands project, which has been partially funded, by the European Regional Development Fund, will see new platforms for home energy and electric vehicles developed to balance local supply and demand. 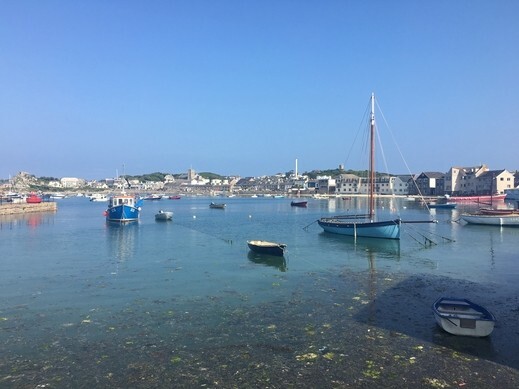 Moixa’s chief technology officer, Chris Wright, said the project supports a “path to full energy independence” for the Scilly Isles and represents “the future of the grid”. “We should be investing in smart control systems that really enable scale,” he enthused. Wright also insisted that domestic battery storage systems “will one day be just as ubiquitous as a boiler”. As part of the £10.8m Smart Energy Islands Project project, 10 homes will test a number of new smart energy technologies, including Moixa batteries and air-source heat pumps. The firm’s systems will also be integrated with a management platform developed by Hitachi Europe, which will use all the available technologies to balance the supply and demand of electricity. The project will lay the foundations for a wider Smart Islands programme, which aims to meet 40 per cent of energy demand through renewables by 2025. The programme also aims to see 40 per cent of vehicles being electric or low-carbon by that date. Wright said the Isles of Scilly are a “great testbed” for such technology, because you can “really measure what is going on and that’s really important when you go to scale”. “Batteries appear to be following a similar cost curve to solar,” added Wright. “When the feed-in-tariffs were launched in 2010, the cost of a solar system was around £12,000 or £15,000. Now seven years later, it’s more like £2,500 or £3,000. There’s a similar playing field with batteries.